Do you have so many of MS-Excel worksheets containing same format? 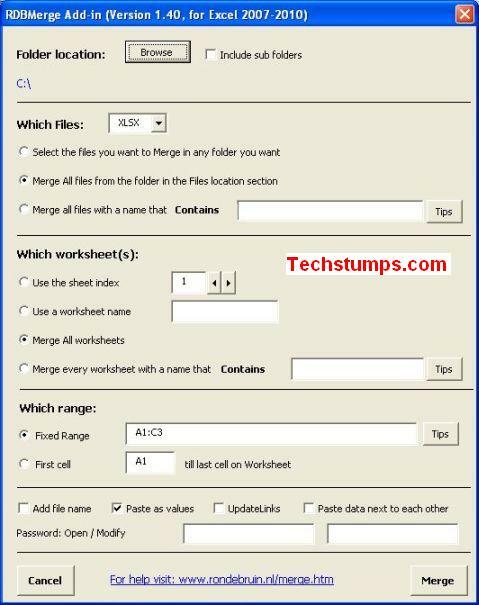 If you want to merge all worksheets that containing same format data, you will do it by copy data in various sheets and then paste it on a single workbook. It’s very common and manual method when your number of files is low. Otherwise there are so many Excel files you have, what to do? So you will spend more time on it and you will take care of merging correct data. 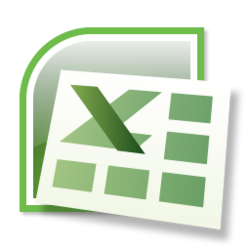 However you will face some problems while merging excel sheets manually, I found an excellent Add-in for merging data of many worksheets to a single Excel worksheet. That is RDB Merge Add in for MS-Excel, Which makes the work simpler and faster. You can merge the Excel files within a folder that are containing same format. To add this downloaded Add-in to Excel window, Click on Excel Options ->Add-Ins-> Go -> Browse and Select the RDB-Merge. You will see the RDBMerge on Data Menu/Panel. Alternatively you can double click the downloaded RDB-Merge Add-in Excel file that will be opened directly. 2. Click the RDB Merge Addin icon and select the folder that contains the all Excel files to be merged. 7. Click on Merge Button and you have done. The merged/combined Excel Workbook will be opened to your desktop. Good for me. Is there any new version of this program?